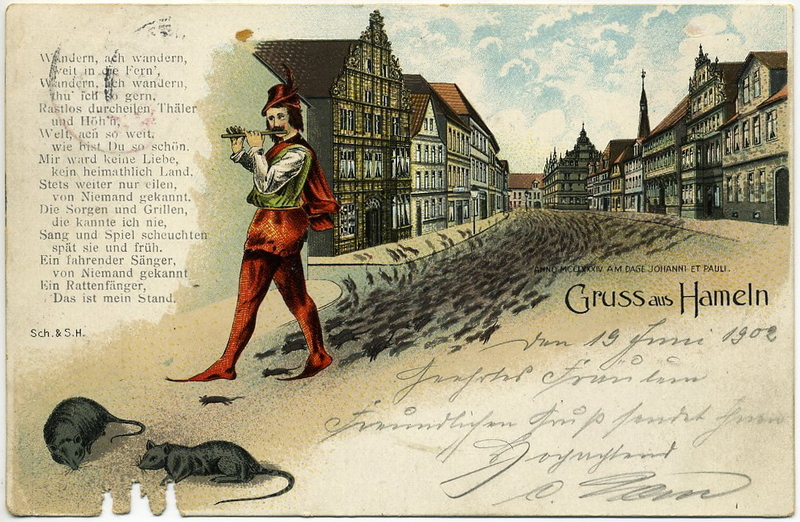 Most people in western cultures have heard the tale of the Pied Piper; but was it true, or simply a fable or an urban legend that grew into epic myth proportions, such as Robin Hood’s fame? The earliest appearance of the story is connected with the stained glass window of the church of Hamelin, Germany, ca. 1300, which means that the events on which it is based happened some time before that – enough of an event to commemorate with a stained glass window. Though it was destroyed in 1660, it had been described and recorded in numerous accounts. Town records in 1384 state that it was “100 years since the event”. Posted in Article, Historical Figure, Historical Sites, History and tagged 1300's, Der Rattenfänger, Fairy Tales, German Text, Germany, Hamelin, Pied Piper of Hamelin, Sagas, Translation, Wikipedia. Bookmark the permalink. Gallaher’s Cigarettes was founded by Thomas Gallaher in 1857, in Derry (Londonderry), Ireland. He went from one man selling cigars and cigarettes from a cart to the largest tobacco factory in the world within 40 years. In 1863, the company was moved to Belfast, and by 1896 had opened his famous factory. In the late 1800s, colour lithography had been developed, and it wasn’t long before companies were investing in creating attractive images to market their products. In 1910, Gallaher’s ran a series of ads that we refer to now as “life hacks” – tips and tricks on how to do tasks in and around the home. I’ll be sharing them here occasionally, so just follow the trail of “Vintage Life Hacks”! Being interested in history, as well as handy tips for crafts, this hack is great. Sulphate of Iron is used as a moss killer on lawns, or a lawn greener / conditioner, so it shouldn’t be that difficult to find. If you test this tip, please let me know the results! Posted in Advertisement, Media, Historical Gadgets, History, Tips & Links, Vintage and tagged Belfast, Colour Lithography, Gallaher's Cigarette Ads, How to Engrave on Steel, Iron Sulphate, Sulphate of Iron, Thomas Gallaher, Tip no. 5, Vintage Life Hack. Bookmark the permalink.